The perfect bathroom accessory for those who are afraid of the dark but not afraid of wiping their behinds with weird chemicals. 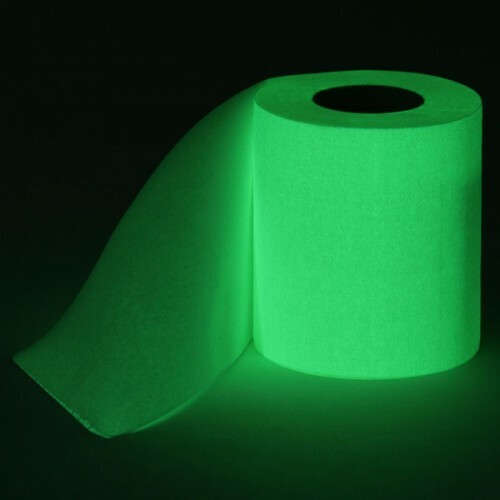 Glow in the Dark Toilet Paper is just not natural, but then again neither is the after effects of that $25 meal you ate at Taco Bell last night. I guess it’s good if you’re camping or living in a cave. Would make a great gift for all your Mole People Glow in the Dark Toilet Paper friends.